How we know what we smell is through odour signals being processed in the part of our brain that stores smell identification, memory, and emotion. Smells can take us back years and years, to specific times, happenings and feelings. But how about multiple lifetimes? 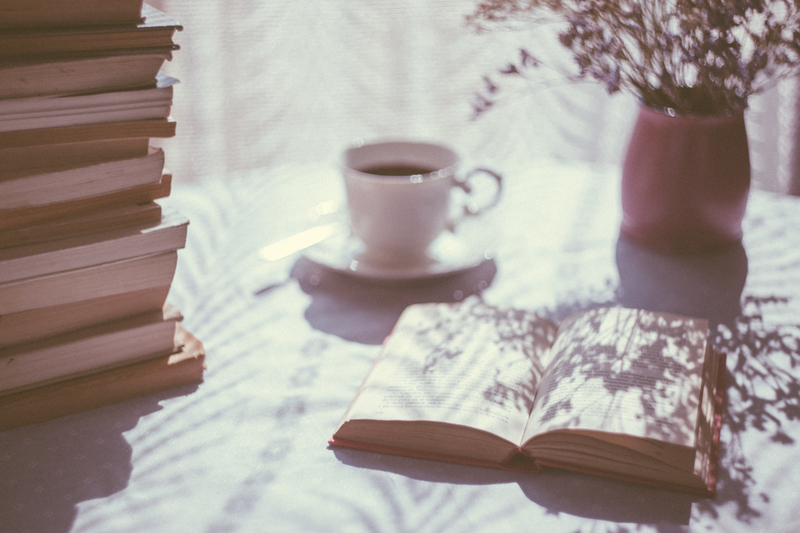 Two researchers at the UCL Institute for Sustainable Heritage, Cecilia Bembibre and Matija Strlič, have figured out how to identify and store the smells of the past, the looooong ago past, and specifically, the smell of very old books. I definitely think that smells are part of a cultural heritage. For instance, there may still be people who grew up in South Africa who can remember how the clay floor of a house smelled after it had been wiped with fresh diluted cow dung, and strewn with reeds. That is a smell of long, long ago. It smelled of farm, and of cows, but it also smelled antiseptic and acidic. And you can still smell it in the circa 1709 Schreuder House in the Village Museum in Stellenbosch, South Africa. The Japan Ministry of the Environment certainly values historic odours. The Japanese 100 Most Fragrant [Kaori] Landscapes list was established in 2001 after a nationwide consultation in which 5600 candidate smells were submitted by local groups. The aromas included ancient woods, sea breeze, sake distilleries and a street lined with bookshops, and the places where those smells can be experienced must be preserved for the future. The brochure is here, Japan 100 Most Fragrant Landscapes, in Japanese only, but the range of places, judging by the pictures, is interesting. Playdough (or “Play-Doh”)? I’d recognize that smell instantly. Since the smell of paper was considered particularly important and difficult to analyze, they focused on creating the Book Odour Wheel of Historic Books, a new documentation tool that represents the first step in documenting and archiving historic smells – like the industry standard Fragrance Wheel, but for old books and libraries. 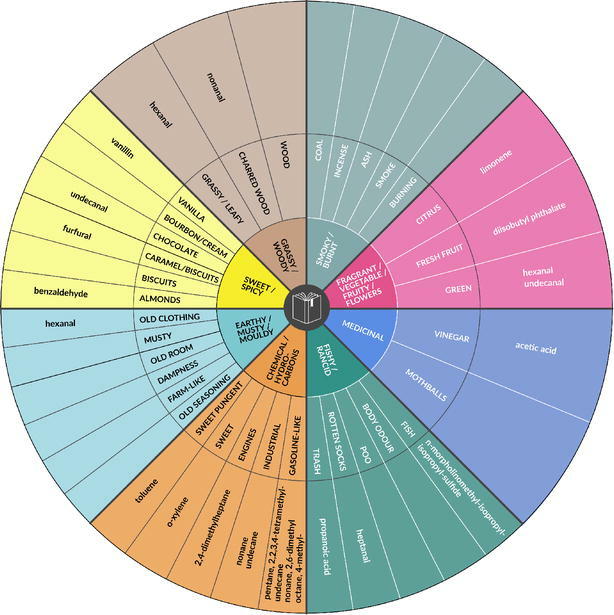 Cecilia Bembibre and Matija Strlič: Odour Wheel of Historic Books containing general aroma categories, sensory descriptors and chemical information on the smells as sampled (colours are arbitrary). However, the exact smell depends on the composition of the paper and its rate of degradation. In the Library group of products, by Christopher Brosius of I Hate Perfume. “In the Library” is a warm blend of “English Novel”, Russian & Moroccan Leather Bindings, Worn Cloth and a hint of Wood Polish.